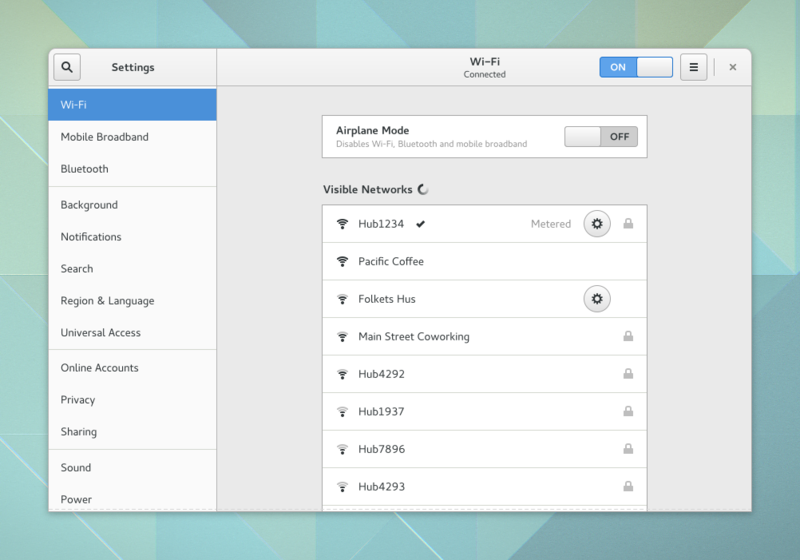 GNOME 3.26 "Manchester" planned to be released at 13 September 2017. Reading the FeaturePlans and Schedule from its wiki makes me want to run it sooner! I hope Ubuntu will successfully include 3.26 on Artful Aardvark release so I can make a review for it later. 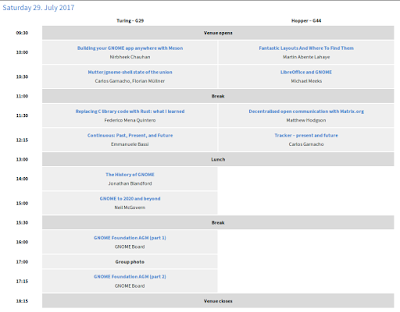 However, this short article mentions some of its new feature, new apps, some links from GUADEC 2017's participants, and further GNOME links. Enjoy! 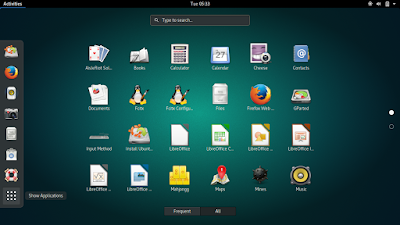 GNOME 3.26 release date is planned at Wednesday, 13 September 2017. The 3.25 is a development release, while 3.26 is a stable release. Codename for 3.26 is "Manchester", continuing 3.24 "Portland". You can see the 3.26 release schedule at GNOME Wiki 3.25.x. 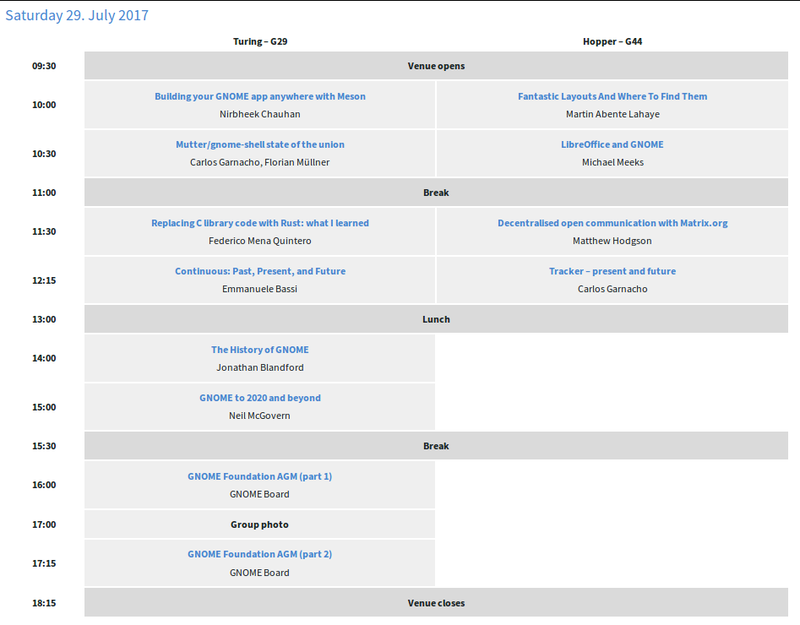 The GUADEC 2017 (GNOME Users And Developers European Conference) held at Manchester, United Kingdom, from 28 July to 02 August. Here are some articles about it by the GNOME Hackers! Yes, the codename "Manchester" for GNOME 3.26 was named after the city where GUADEC 2017 took place. It's always exciting to see new GNOME major release. For 3.26, there are many fixes & improvements. There are also new features planned as the wiki page FeaturePlans says, even a new application! 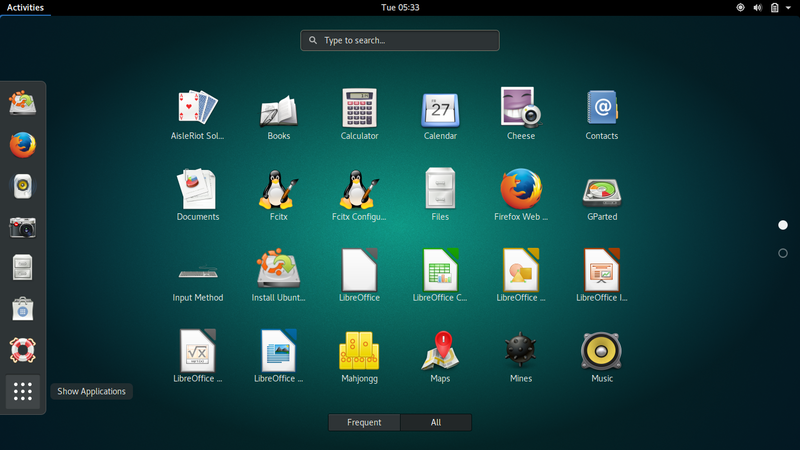 I show here 2 interesting plans for 3.26: new design on System Settings, plus a new application GNOME Usage. See the development pictures here. Source: https://wiki.gnome.org/Design/Apps/Usage with the file name usage-wires.png. You can help GNOME by spreading articles about it (like this one), donate, or be Friends of GNOME. You can also help the development by following the guide.